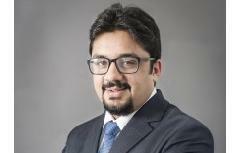 Veritas Legal has promoted 2015-lateral hire Vineet Nalawalla to partner, growing the firm to tp;;7 partners. He specialiess in real estate and is a 2008 graduate of GLC Mumbai. Nalawalla had previously worked at Kanga & Co and Dhaval Vassonji & Associates before joining Veritas in 2015. Congrats Vineet!!!! All the best for your new role. Since when does Veritas have a real estate practice? An excellent guy, based on my limited dealings with him.. wish him the best!